The door Holder on My 2014 Itasca Sunstar 35F has what i would call the most lameist (if that is a word) open door holder i have ever seen. 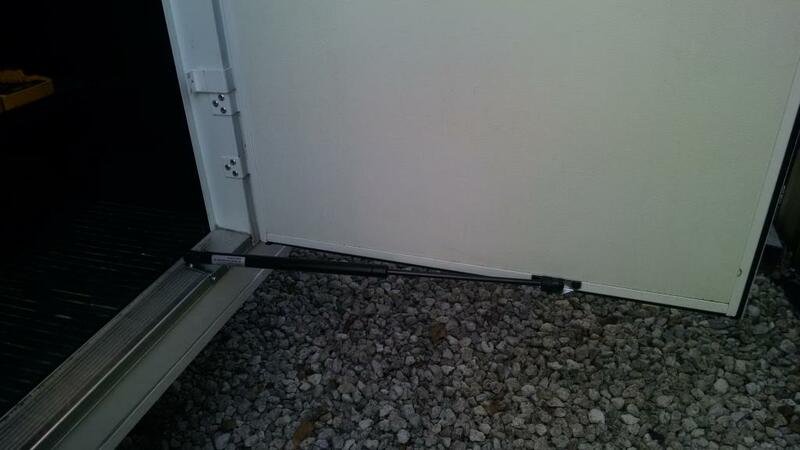 An aluminum rod that slips into a 'U' holder, one on the door and one on the coach. Really?? has anyone come up with a better more modern way of holding the door? the rods coating does not last long and actually looks like heat shrink tubing on it. I will try to come up with something, e.g., hydrolic piston simular to car hood or hatch supports or a spring load device. any thoughts would be great . Made door holder out of aluminum angle iron. My 2011 35F has the same rod. I actually like it. Simple and effective. 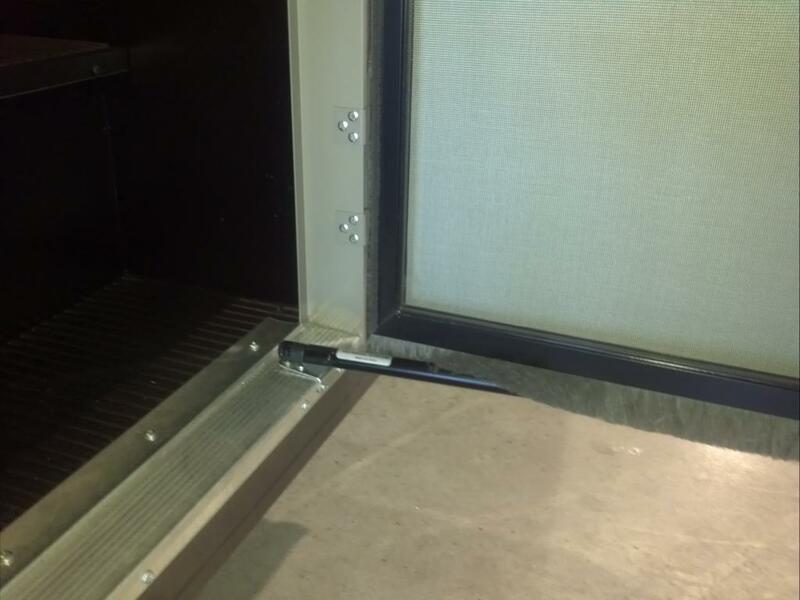 No maintenance required, and it holds the door out of the way of the awning arm. Scroll down to 41 and see what many of have done. I have had this on mine for almost three years. I replaced the piston once. Easy five minute job. Works fantastic. There have been some that have placed gas struts on the outside at the top. As far as the bar holder , yes it is shrink wrap on both ends. I must agree with affreeman, its simple and straight forward. The other thing is I never leave the door open because the AC is running. It's just me the DW and her Pug. I guess I will try something. I am just surprised that all the doors, including the garage doors have no stops or bumpers, and are able to just bang into other doors. Kinda worries me, with the full body paint. Kinda like buing a Ferrari and using a fence hook an loop the keep the door shut. My Itasca Spirit came with a similar rod/door holder. I installed a piston on the bottom inside of the door frame with a "kit" I bought from Lichtsinn Motors. Putting it on the inside I had to modify/shorten the screen. I also put some stringy flexible material in the slot on the bottom of the screen to help keep bugs out. It would be less involved, installing it on the outside, on the lip above the entry door. I don't have to be concerned with losing a grip on the door if opening it in the wind. You just unlatch the door and it opens on its own. This is a pic of the same thing installed (with the screen door on) on a year newer, identical model to mine, when new, on the dealer's lot. I can't find the pic of mine with the screen door reinstalled.